Mobile marketing and online store concept flat icons. Full circle of online-shopping with mail menu of wide range products, product research, basket, pay per click, call center, delivery. If you are looking to take your eCommerce business to the next level, you’ve probably come across lots of conflicting advice. With everyone putting in their two cents on what works, it can be difficult to decide on what advice to follow. To make the most out of your effort and time, it’s best to follow industry trends over individual advice. These techniques and strategies work best for most people, and so they’re a safe bet. To help you set off on the right path towards success, we’ve brought together 4 of the most prominent trends in eCommerce for you to leverage. Heed this advice and you’ll likely be pleased with the results! If your business is just starting out, capital and inventory can be limited. If you’re in this situation, dropshipping may be a great business model for you to adopt. Dropshipping makes you the intermediary between suppliers and your customers; A customer places an order and you have the supplier send the product directly to them, meaning you have no upfront cost on inventory! Dropshipping is simple to adopt, and offers you less risk with some great advantages; You don’t have to spend anything upfront for inventory when your customer places their order you go on to purchase from your supplier and have it shipped directly to them. Drop shipping is especially nice if you offer large or bulky products that would normally take up a great deal of space in your storeroom. Not having to hold onto large inventory means you don’t have to go out and rent a large space to stock your inventory, which saves lots of money in the long run! It’s incredibly common these days for customers to use a variety of different outlets when they do their online shopping. Where before, a customer might have typically done all their shopping on say Amazon, exclusively, these days customers are diversifying their shopping channels. If you want to take your eCommerce business to the next level, making yourself available through as many markets as you can is a great idea. Don’t limit yourself to your Shopify or Magento storefront exclusively. Having all the tools and extensions available, such as a Magento search extension, can be great. Branching out and opening up a storefront using the likes of Google Shopping, Amazon, Jet, and eBay can be a great way to make sure you’re not missing out on any significant segments of your market. One of the main arguments against this tactic is that it ends up being quite a bit more labor intensive having to manage multiple storefronts, but these days there are many great options available to make the task a lot more simple! The moments prior to a customer placing their order on your eCommerce website are key. If your customer has made it this far, they’ve made the decision to buy your product, and so you would think everything is said and done. If something goes wrong, or if the process is not quick and painless, customers may still be turned away at the very last moment! Per the Baymard Institute, nearly 70% of shoppers end up bailing on their purchase right before placing their order! To reduce this figure on your website, you’ll want to streamline your checkout process in order to ensure a successful conversion. Having all of your payments combined into a single platform is a great way of mitigating this issue, which makes it much simpler for you to manage your payments. Building off the previous tip to leverage multi-channel selling, you’ll want to devise a system where you are able to identify repeat customers across all storefronts, in order to provide a truly customized and personal experience for your customers. If you overlook this step, you’re likely pestering your potential customers with repeat messages and offers as they navigate your offerings across multiple channels. People like to be recognized and prefer a personalized experience, and when they notice this repetition, it can be off-putting. This technique is glossed over, and so it is a great chance for you to get a leg up on your competition! There are many different products available to you that give your storefronts the ability to recognize a loyal customer and deliver a customized and personal experience to them. Consider making use of one of these, you’ll likely be pleased with the results! 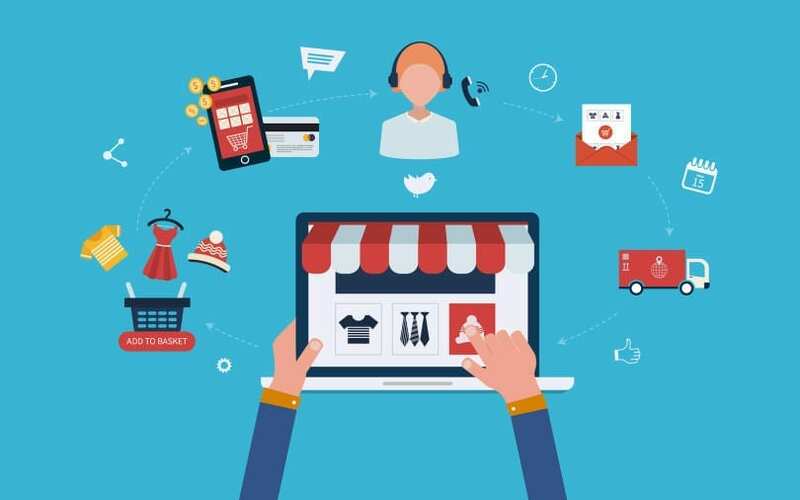 eCommerce as an industry is in a constant state of change. New updates and technologies are coming out daily, which make staying ahead of the curve a challenge! By updating yourself on what is trending in eCommerce, you’ll be much more likely to spend your time optimizing your business in ways that will provide you with real results. After reading through this, you should be well equipped to go forth and make efforts to improve your business in actionable ways. Whether you decide to adopt multi-channel selling, add a Magento search extension, or go with a dropshipping business model, you’ll likely find that business starts to pick up and profits begin to increase! Next articleWhat Technologies does NASA use to explore Mars?